President Donald Trump’s executive order restricting travel for citizens of seven countries to the US has sparked international debate on the issue of migration. Citizens of Syria, Iran, Sudan, Libya, Somalia, Yemen and Iraq are banned from entering the US for 90 days. While the order is about more than just migration, data from the US Department of Homeland Security provides a useful historical context. The statistics show the number of people obtaining lawful permanent residency in the US - all the way back to 1820. 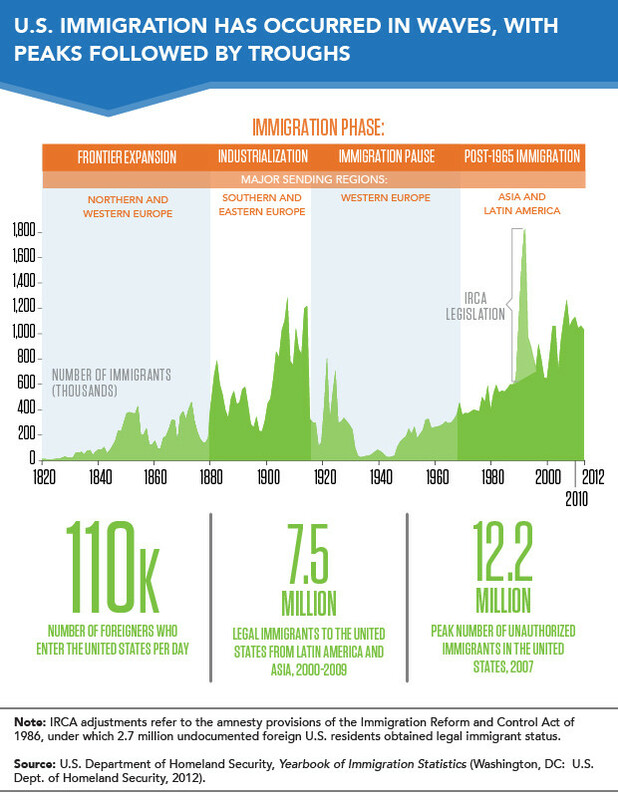 Immigration to the US over the last century has come in waves and troughs . The 1900s saw significant arrivals as part of the so-called ‘third-wave’. Industrialization brought millions of Europeans to the United States, who found work in the factories of northeastern and midwestern cities. 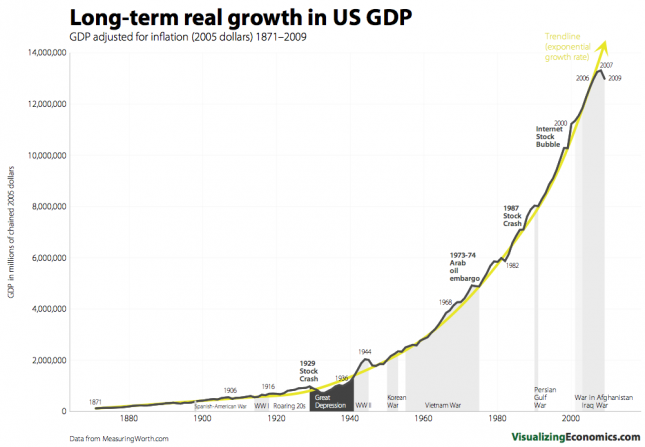 In the following decades, immigration slowed. World War I and a stricter quota system saw fewer than 700,000 people granted lawful permanent resident status in the US in the 1930s. Some years saw more people leave than arrive, partly as a result of the Great Depression. Following World War II, immigration picked up. Veterans returned from Europe with European spouses, and other Europeans sought a fresh start in the US. The Immigration Act of 1965 saw the start of the fourth wave of immigration. This change to immigration policy saw overall numbers increase, but also a shift in origin. Many more Latin Americans and Asians began to move to the United States. Conflict in southeast Asia, as well as the Cold War, were major driving factors. 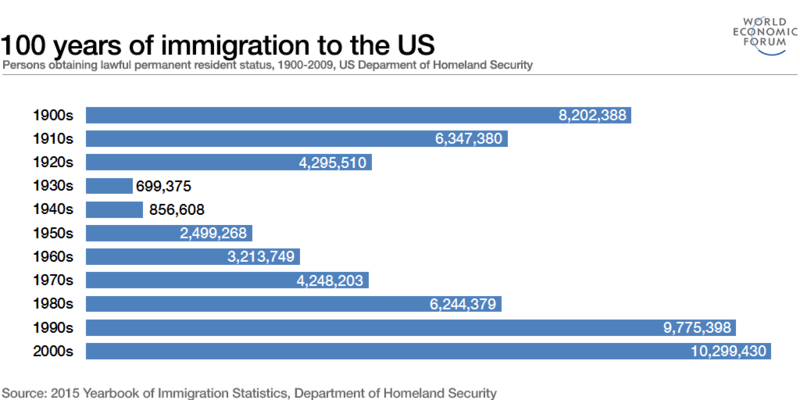 Millions also arrived from Mexico, peaking at more than 2.7 million in the 1990s. The economic opportunities afforded by a booming US economy were a draw for migrants from south of the border, and around the world. In the 2000s, more than 10 million obtained lawful residency status in the US, compared to 8 million 100 years previously. But as the chart shows, this has changed dramatically in the intervening years. And if you consider migration figures as a percentage of the population , the picture is very different. In the 1900s, 8 million people represented about 10% of the US population. By the 2000s that figure was down to just 3%.